For nearly 50 years, the name Shelby has been synonymous with high-performance Ford Mustangs. When Mustang first hit the streets in April 1964, it was stylish, affordable and fun to drive. But it wasn't until Carroll Shelby revealed the first GT350 early the next year that Mustang really developed a hard-core performance reputation. With drivers like world champion Sterling Moss at the wheel, Mustang soon had the on-track credibility to match its go-fast looks. As the standard Mustangs got faster and more powerful, Carroll Shelby and his team kept ahead of the pack with later GT350s, the GT500 and GT500KR "King of the Road." 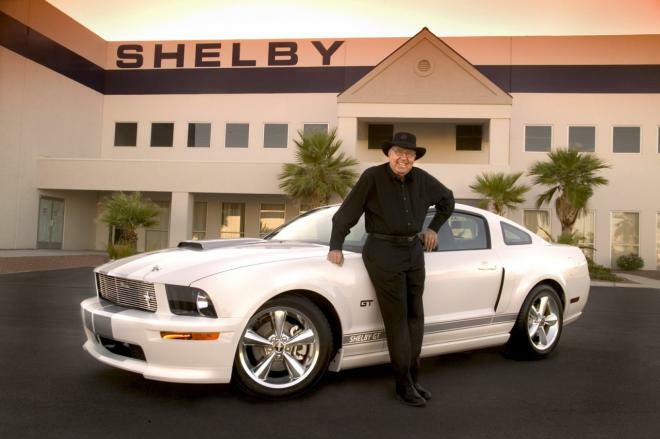 Prior to his death in 2012, Shelby remained involved with high-performance Mustangs including the current 200 mph, 662-horsepower Shelby GT500.